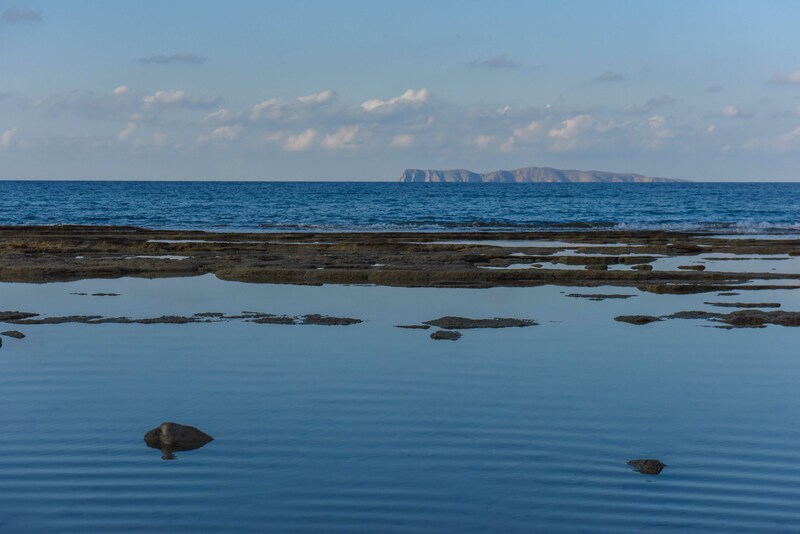 Sitia Σητεία (Eastern Crete) – Lukewarm Heaven! I arrived at Sitia with high expectations. The articles I read online all talked about Sitia people being the kindest and most hospitable. They also talked about the amazing local cuisines and bakeries being the best. 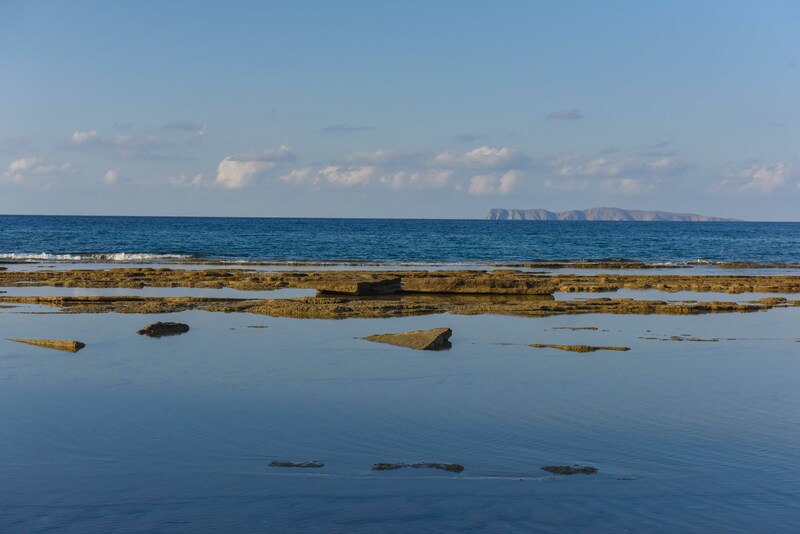 Some also mentioned how beautiful Sitia town is and that the people there made Sitia beautiful for themselves instead of trying to attract tourists. Also that Sitia is very much unspoiled and not touristic like other places in Crete. 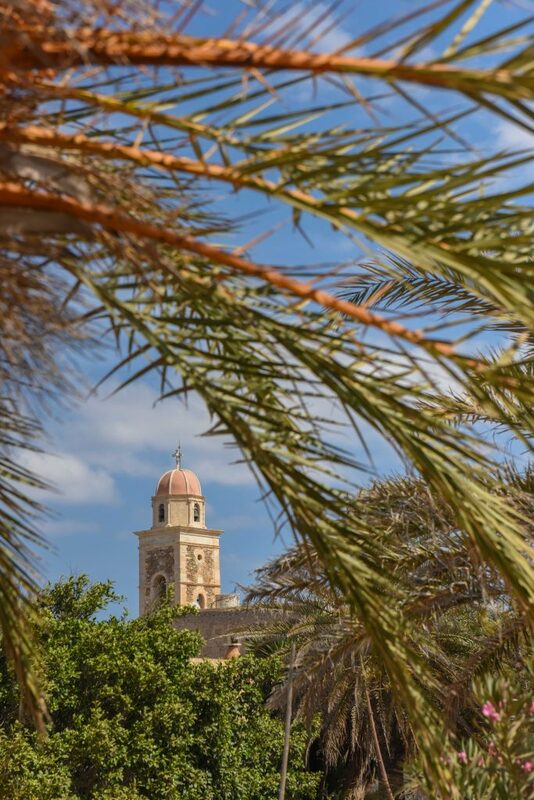 Well, the shop in the famous Toplou Monastery not only sell icons and other products related to the Orthodox Christian faith, but olive oil and wine (produced by the monks), tourist guide books and other tourist souvenirs that you can find in a tourist shop. Is that what the authors of these articles called unspoiled and not touristic? Or is this considered to be being hospitable and considerate for your every need? Agent Q* and I did go to some bakeries to buy our πίτες (pies) for the day several times. I didn’t see anything that I hadn’t seen from bakeries in other parts of Crete, nor do I find what we ate superior. Sure everything we ate was good but that’s the norm. What are these authors talking about? Don’t they travel or eat much? 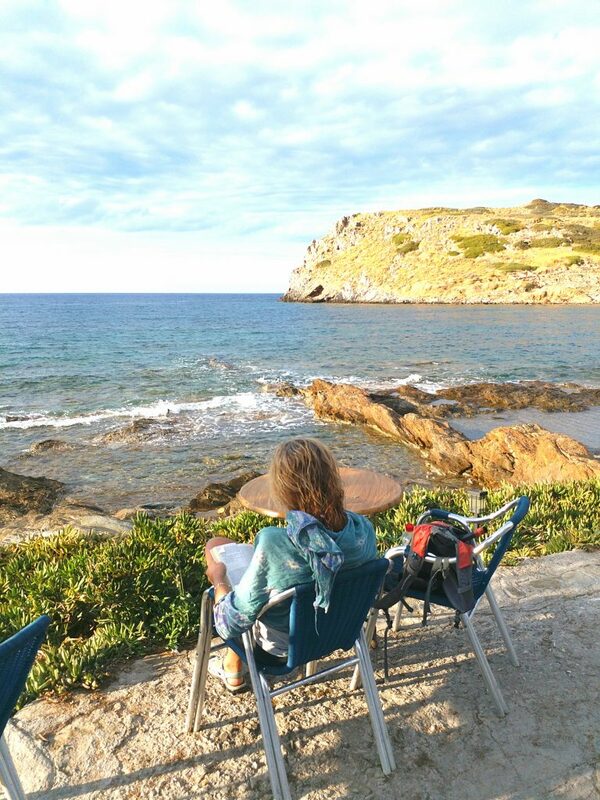 We stayed 4 nights in Petras which is right next to the Sitia town. We had dinner in town only once, on the night we arrived because it was Agent Q’s last Saturday in Greece and I wanted her to see the Cretan Dance. So we went to a restaurant that had live music and Cretan Dance Performance. It was full of tourists. The food was nice enough and we were offered complimentary desserts like many other restaurants we visited in Crete. We enjoyed the performance but there is nothing else special to talk about. I also saw some mentions of the local raki taverns being a must for visitors. Raki is a very strong alcohol. A raki tavern would be a place where people have raki and small plates of food. We didn’t go to any of these taverns because we decided to cook at our apartment after eating out too many times. We also didn’t believe these articles anymore. When Agent Q and I were planning our trip, I was very excited about the reputation of the people in Sitia. Since coming to Greece, especially in Crete, we have enjoyed people’s kindness and great hospitality. I wondered how can anyone be kinder and more hospitable and asked Photoman* about it. He said, ‘They would be kinder then.’ Well, if they are kinder than the people whom we have met, we would be staying and eating there for free. Then I started thinking, how does one measure one’s level of hospitality and kindness? The only way I can think of is by comparing something that we can measure. 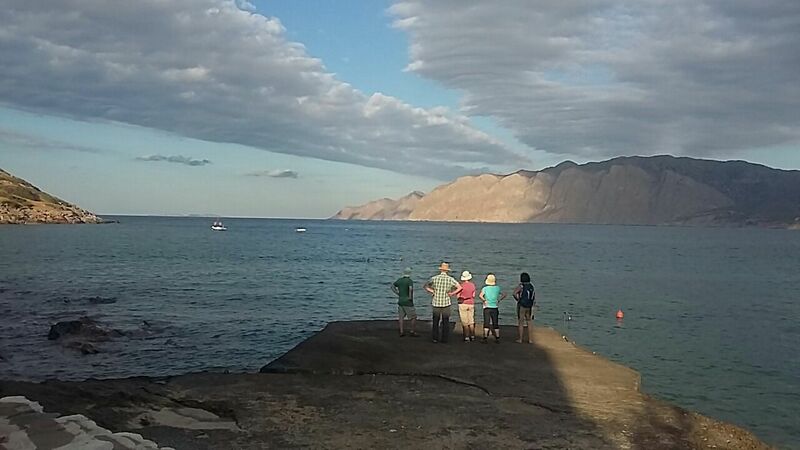 Before going to Sitia, we stayed at a house in a village in Chania region (western Crete). The owner in Chania House provided us with a full fridge of goodies – 6 large bottles of water, some soft drinks, beers and raki, a large bowl of fruit, a loaf of bread, ham, cheese, chocolates, chocolate biscuits and a full tin of cookies. There was olive oil and all sorts of condiments for cooking. Different kind of detergents for the washing machine. Shampoo, conditioner, shower gel and toothpaste. We only really had the water, fruit and chocolates but we felt so very well cared for. In the Sitia Apartment, we found one large bottle of water. There were also a mini bottle (small enough that you can take onto the plane as carry-on) of olive oil and another one of raki. The toilet flush at Chania house stopped working on our second day there and the owner promptly fixed it while we were out for the day. At Sitia Apartment, I noticed a bad smell when we arrived and I mentioned to the owner. She said because the apartment windows and doors hadn’t been opened. Not sure why she didn’t let in air before we arrived. Later we found that there must be a sewage problem because the smell was there and got worse during a hot day. With this strange logic, Chania people are more hospitable. I don’t think house/apartment owners need to give us anything other than what is advertised but why lure tourists to visit your region by advertising about your hospitality. 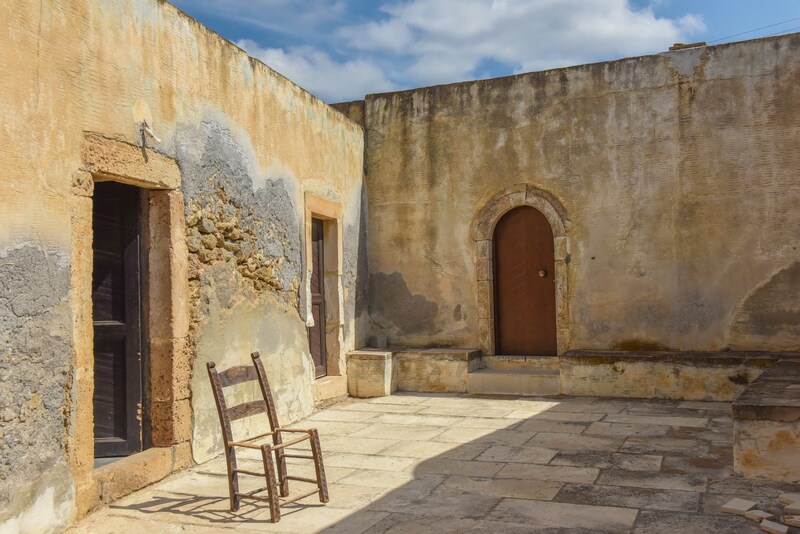 In the promotional videos of Sitia, an old woman came out of her house to offer two visitors glasses of water. Why do shops and kiosks in Sitia sell bottled water then? It also seems that these videos are saying that local people would hang out with you when you visit. The people we met in Sitia were usually nice (one bakery woman became moody when Agent Q took a moment too long to decide what to buy) but it is very normal in Crete as well as many parts of the world that we visited. If local people hang out with every visitor, I think this would become their full time job as there are so many visitors even though not as many as other parts of Crete. 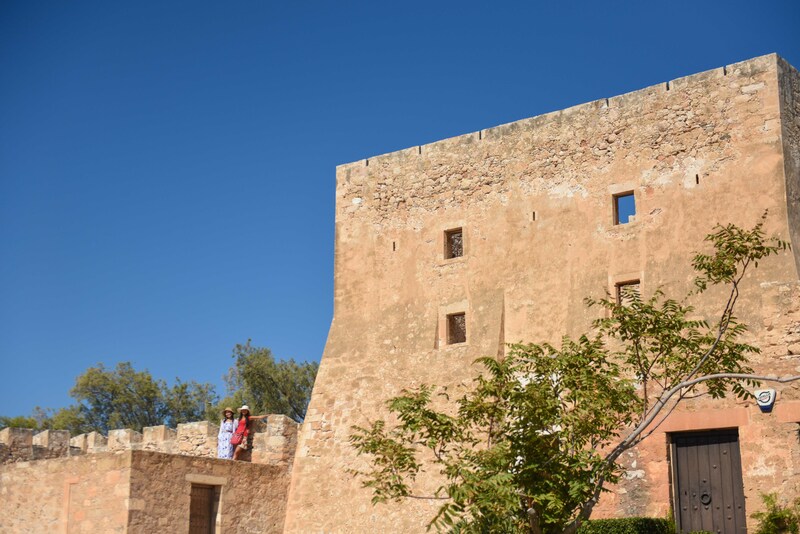 There are actually a lot of places in the Sitia region to explore and we did enjoy some of its natural beauty and archaeological sites (from a distant, we didn’t enter any). However I was determined to find out about the town of Sitia. There must be something else that made all these authors love it so much. We spent some time exploring the town despite Photoman’s protest. He said there was nothing there and he was right. I don’t know how he knew. 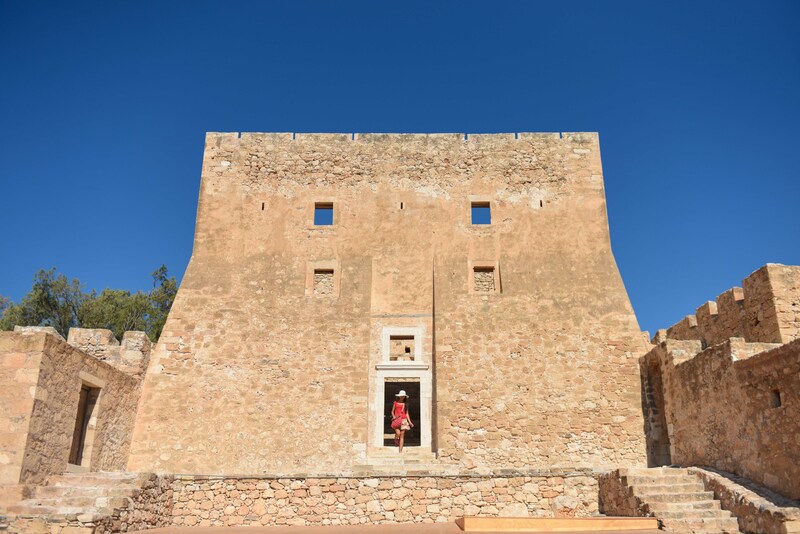 Then I had a realization – all the online articles I read about Sitia are connected with tour operators or they benefit from Sitia tourism! 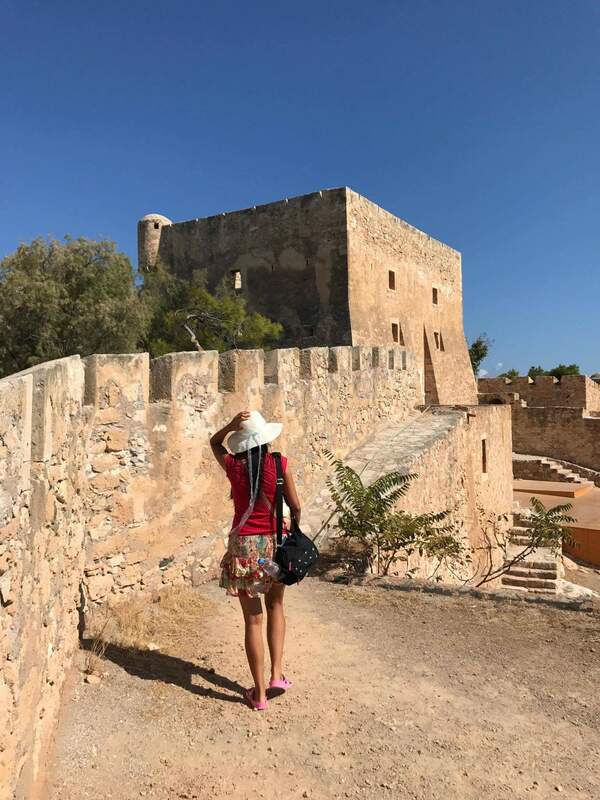 And the articles by bloggers… well, they were invited to visit Sitia and seemed to me that all their expenses were covered. One of my best friends in Hong Kong was a travel journalist for many years and she told me that if she was invited, she had to write something nice about the places even if she disagreed. So I reconsidered what I read. No wonder they talked about trivial things like the bakeries – because there is not much to talk about. And I thought I was blind! On our last day there, Agent Q and I walked around the town a little bit more while Photoman waited for us at a café. He was finishing his coffee when we joined him so when the waiter came with glasses of water for Agent Q and myself, we told him we didn’t want anything and would leave soon. He gave us the water anyway and asked us to relax. Suddenly, I understood. You see, what the waiter did was very normal in Greece, offered us free water without us consuming anything else, while we wait for Photoman to finish his coffee. However it is not so common in tourist areas. When my family came to visit, I often felt stressed out being in the tourist areas because I found that some of the restaurants and café owners/workers in tourist areas are like entirely another breed of people, very pushy and unlike the warm-hearted Greek people that I got to know. Possibly because the Sitia people are still fairly new to tourism, they retain their good Greekness and haven’t caught that pushy bug yet. And so, I started to warm up to the town of Sitia. It really is like heaven, peace and quiet. Maybe nothing much happens here but as you dig around, you will discover more and more reasons to stay longer. 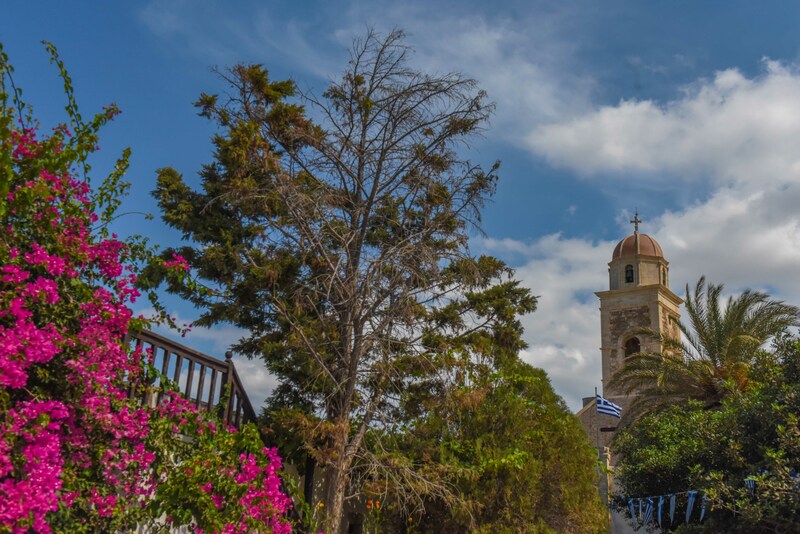 Take as much time as you need and be at ease, the town of Sitia is free from the pushy bug. 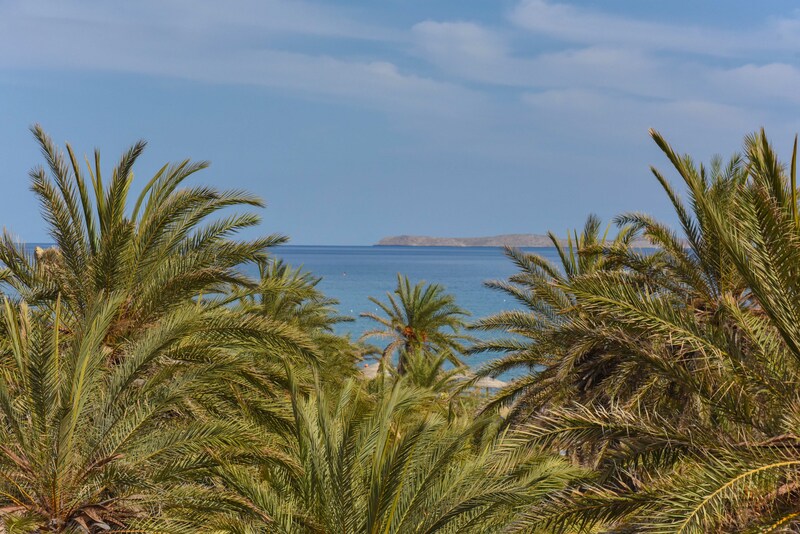 Now let me share with you the places in the Sitia region that we visited. It’s quite nice to take a walk along the harbour. Local people also hang out there with their children. There are many cafes and restaurant by the harbour. One of these was Cretan House where we enjoyed Cretan dance performance with live music on our first night in Sitia. The town looks quite cute with all the houses stack up on the hill like a grandstand. We walked past the staircase that was featured in one of the Sitia promotional video but honestly there’s nothing exciting about the staircase other than that it is very long. I thought about talking a walk up the hills but after a while, I found myself looking at people’s back or front yard and didn’t feel good doing that. None of the restaurants or cafes stood out to us. No dramatic looking restaurants like those in Chania or Rethymo using ruins; nothing elegant or expensive looking like on Mykonos; nothing quirky or unique like in Athens. Sitia is like lukewarm water – can’t keep one warm like hot water nor ease the heat like ice cold water. It’s not exciting but very good for you. The establishments need to please local Greek people as well as tourists in order to survive and I imagine that they would have high standards and not operated by the different breed of Greek people who just want to take your money thinking you will never come back. We could see the fortress even from where we stayed in Petras (the area right next to Sitia town). It is situated amongst the houses that look like a grandstand (or amphitheatre) overlooking the Sitia harbour front. So one morning we decided to have a look. A woman sitting behind a desk informed us that there was a 2 euro entrance fee. We thought it was free because the place didn’t look much. Photoman wanted to boycott the place – until some years ago, all historical sites including the Acropolis were free for Greek people to visit. I persuaded him to come along to take photos for me so he did grudgingly. Mostly he hid under the tree shade while Agent Q and I spent 30 minutes taking photos of each other. Seriously I think we had probably broken the record to be able to spend so much time in this place. What do we mean by ‘the place didn’t look much’? Well, there is only that one big room with nothing inside. There must be a great history behind it but we are not the sort who cares that much. Information is not offered at the fort either. Photoman named this place ‘One Room Fort’ and said it worth 1 euro at the most. 1 euro per room he said. On my family’s recent visit, my cousin said that any tourist site that has free toilets worth an extra euro. We checked – no toilets in this place. So I guess Photoman is right that this room only worth 1 euro. He kept talking about the One Room Fort some more throughout the day, not because he is a whingy person, but because Agent Q and I kept laughing and he likes making us laugh. So that extra euro was for the laughter. The beach is right there next to Sitia town and it’s quite long and the water looked clean. Every day when we drove past it I was attracted by the quiet bit with no sunbeds or people. On our last day in Sitia, on our way back to the apartment, Photoman suggested that we went to have a look. We stopped at the quiet bit where the water was shallow. We hung out there for a bit taking photos of our reflections. Although the beach is right next to the road, it felt very peaceful as if time had stopped. But see what I meant by ‘dig around and you will discover more’? We also wanted to drive to the middle of nowhere to watch the stars but we didn’t because we were either too tired or it was too cloudy. Usually Monasteries were named after the Saints, otherwise there would be a great story behind. A man who worked there explained that Toplou was a combination of two Greek words: one means rich and one means cannon. Rich because Toplou Monastery is rich with a lot of land and cannon because the monks used to have to defend themselves against various attacks. The entrance fee is 3 euro but it is free for Greek people and even their Chinese wife (me!). You will probably pay because you are there now but if money is tight, let me tell you if it’s worth it – if you are into historical icons and other religion related exhibits, then, yes. If you would like to visit every church you come across, then yes. 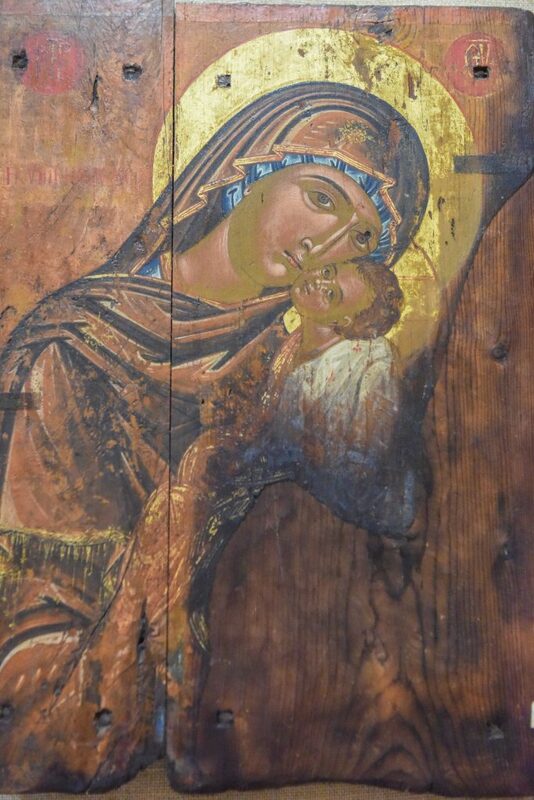 If you’ve already seen some other precious icons and if you don’t really care about them that much, then no. If you enjoy being in a church to absorb some nice energy, you are better off visiting the ones that are not so popular with tourists so you can enjoy the peace and quiet without paying the entrance. Without paying the 3 euro, you can still walk around the buildings including the windmill and the front garden, walk up some stairs to a roof to get an even better view, enjoy some refreshment in their café, visit their fairly large shop that sells many items that are catered for tourists. 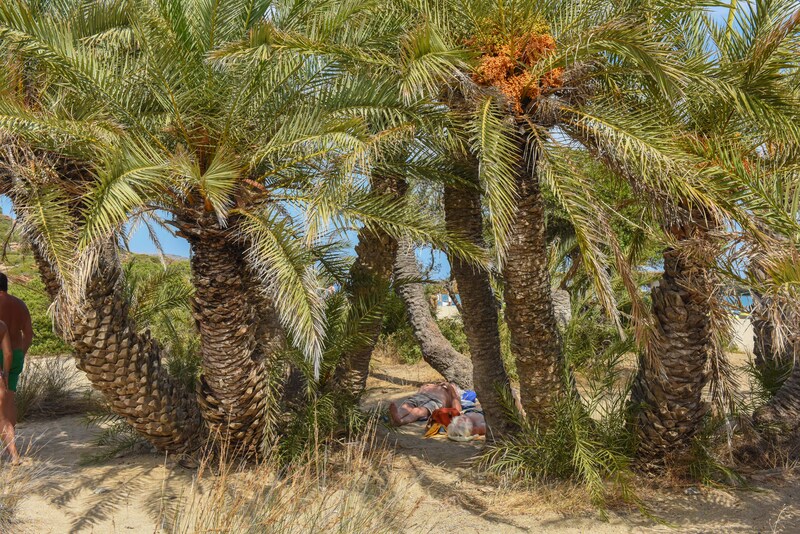 Since the first time I came to Crete, I had always wanted to go to Vai because of the palm forest. Read many travel posts about it and all sounded great. 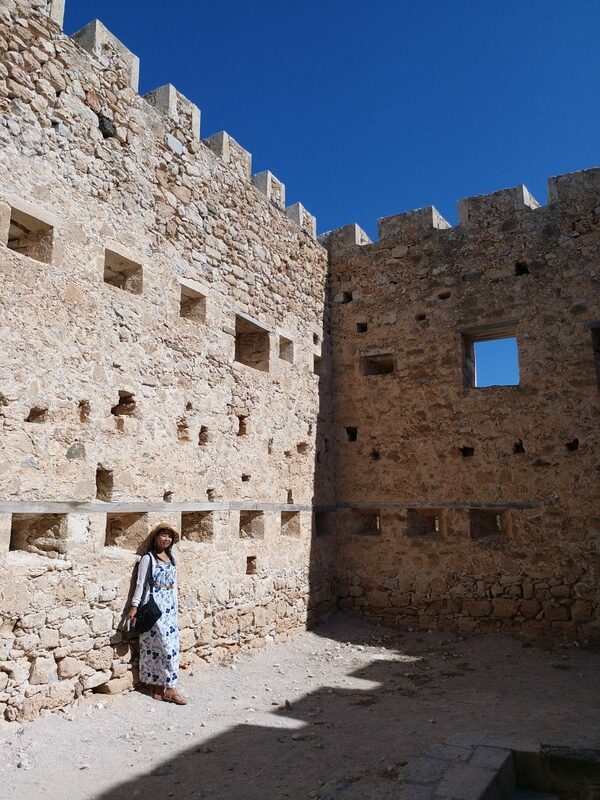 So I thought Vai would be one of the highlights of our stay in Sitia. But we didn’t like it. It costs 2.5 euro to park our car there so we drove back about 100 meters and parked on the side of the road. In Greece, usually parking is free especially next to a beach, even on Mykonos which is one of the most expensive islands to stay. Upon seeing the crowded car park, we also weren’t sure if we would like to stay there for long. It was late September and the beach was full! There were many people using the sunbeds and umbrellas, also quite a few on the side without the umbrellas. I wanted to leave right away because of the noise, not really the people noise but the water sports noise. Have you ever followed any guided meditation for relaxation and the voice said imagine a beach, with palm tree etc? They would never mention noise from water sports because it is so disruptive. I suppose some people like it. Perhaps I got used to the nothing ever happens in heaven vibe and so I found the amount of noise there unbearable. The café and restaurant were both buzzing with people. There are some steps which take you to up a hill and you have a good view of the beach from there as well as the coast. Agent Q enjoyed the view looking out the ocean; I wasn’t so keen on competing for my spot with many other people who walked up the same time so I didn’t linger; Photoman didn’t even bother going up but said he would like to come back during winter when hopefully there is some peace and quiet. Photoman had a quick dip in the water, reported that the water was nice but the noise from jet-ski wasn’t. There was quite a bit of rocks in the sea, unlike the beach which was sandy. We walked around the palm trees a bit but couldn’t find our way into the forest although I read about a walking trail starting from Vai beach into the palm forest. We weren’t prepared for hiking that day anyway. Another time. And so after less than an hour, we left and went to a quiet beach. 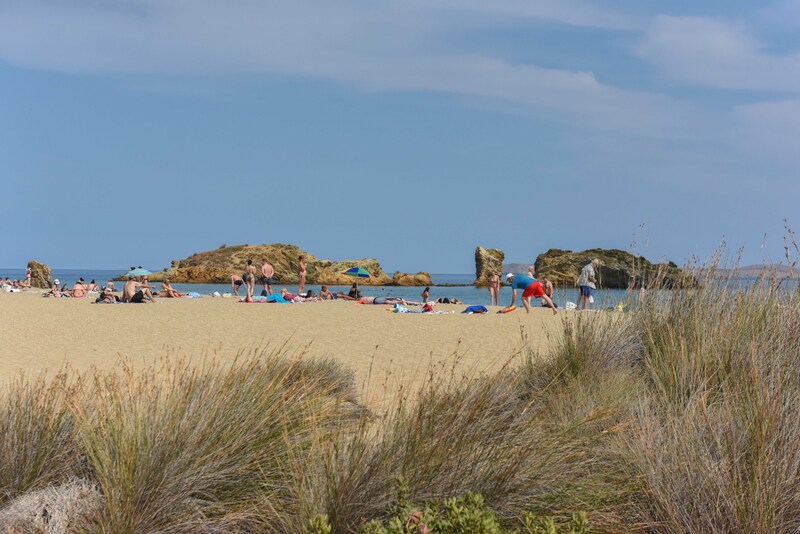 Itanos beach is small and cute with no sunbeds. The water was nice and there was some tree shade. There was a family having picnic with radio playing. Somehow we didn’t mind that. It felt idyllic there. Parking is free. It is possible to swim or walk in the shallow water to another little beach. We saw another little beach next to this other one and it seems that you can drive there. From where we were we could see the archaeological site of Itanos. We read that there is a sunken city in the sea there but we didn’t investigate. On the way to Vai we drove past a stall selling bananas near a banana plantation. After Itanos beach we drove past it again and decided to buy some bananas. 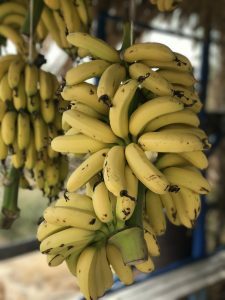 Bananas from Crete are small and creamy and are very special. The woman at the stall offered us some extra special bananas – lemon bananas. She would only sell one lemon banana to each person while you can buy as many other Cretan bananas as you want. Those lemon bananas really had a lemony flavor to it but without any sour taste. Very special indeed. We went there because of a recommendation by our friend in Agios Nikolaos. When we saw him again I can totally understand the appeal of Kato Zakros Beach for him. He owns a shop selling Greek products in Agios Nikolaos which is full of tourists. He just wants some peace and quiet and away from people when he has time to get away. There are a few restaurants there on the beach and we saw signs indicating directions for accommodations. Outdoor shower and changing facilities available. There are signs pointing to public toilets which I couldn’t find. A restaurant owner let me use their toilets. No, they haven’t got the pushy bug there. We enjoyed our peaceful time on the beach. There are a few sunbeds there but we stayed on the empty side. Photoman thought it was one of the nicest beach he has visited in Crete. He thought there was something about the water that was different, sort of more embracing and soft. Agent Q and I didn’t quite understand what he meant but we liked that the sea was warm and we swam out quite a bit to investigate the caves nearby. We also saw some people walking around on the cliff. Not sure if that was the archaeological site or if it was part of the walking trail. Water sports are not available there. The restaurants offer just enough activities. If you like a peaceful holiday doing nothing, this would be an ideal place. We stopped in this village for coffees since we passed through it. It is a quiet village. More of the nothing ever happen vibe. There is an archaeological site there but we didn’t go. We went there after Itanos beach since it was on the way. 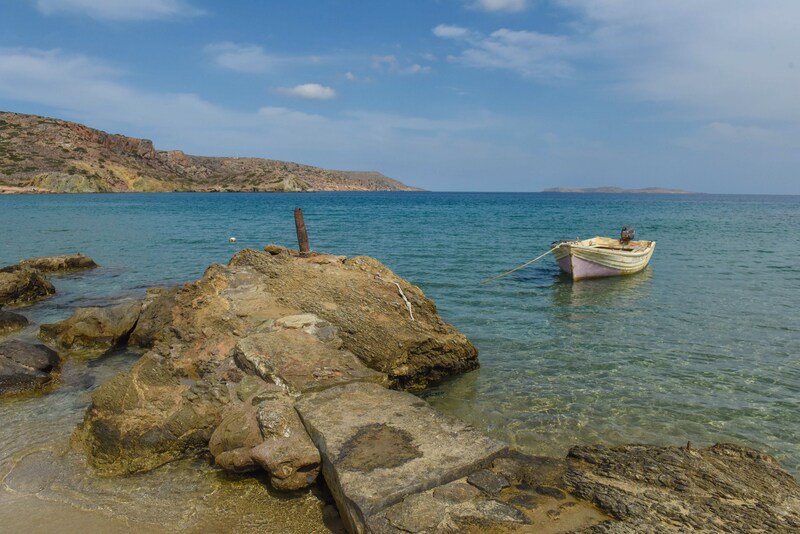 Mochlos is a beautiful and tranquil seaside village located about half way between Agios Nikolaos and Sitia Town. When we were driving to Sitia, we stopped at Mochlos to have coffees. There are quite a few restaurants and cafes by the sea. There is a small island very near the coast and it is an archaeological site. We only admire it from afar but didn’t visit it. If you have the time, definitely stop by Mochlos. You need to exit the national road and drive through a long winding road but it’s worth it. Richtis Gorge totally deserves its own post so here you go! We went to Touloti for dinner after walking the Richtis Gorge. A rather pretty village. Agent Q thought she had her best meal in this village during her 3 weeks in Greece. There are so many archaeological sites in this region! We didn’t visit any but we drove past some and you will too. Here are the names for you to research – Gournia, Vasiliki, Mochlos, Petras, Zakros, Palaikastro and Itanos. The Sitia region is totally not what I have expected but we greatly enjoyed our relaxing stay. Apart from Vai, everywhere we went was so peaceful. 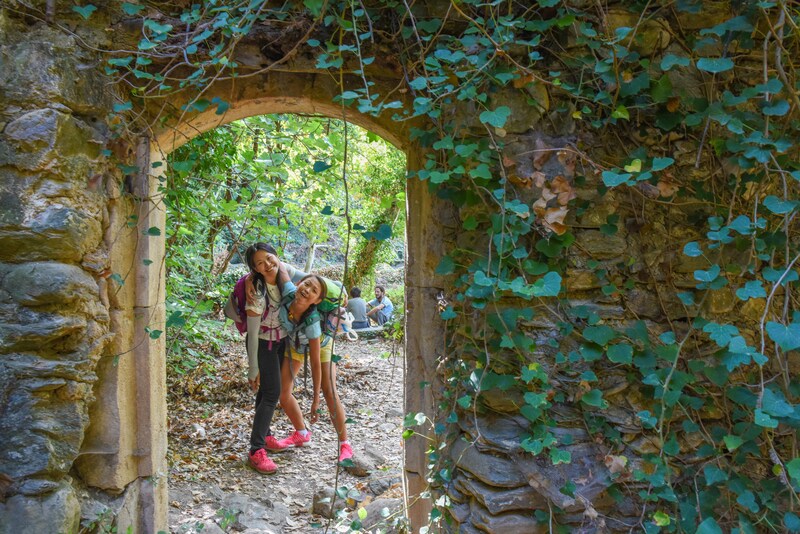 Plenty of walking trails and archaeological sites to explore. Plenty of middle of nowhere places and quiet beaches for you to do absolutely nothing. You probably won’t get a chance to hang out with local people but you are also safe from the pushy bug. If you want a piece of this heaven, visit there soon before too many tourists get wind of it. In Greek, Sitia is Σητεία. The stress is in the middle and it’s pronounced like Si-TEE-ah. *Agent Q is one of my best friends from Hong Kong. She got this nickname because she always provides me with support and she is Cute! *Photoman is my darling husband who creates beautiful images. I gave him a hero name because he is my hero. Special thanks to Konstantinos Anastasakis for permitting the usage of his beautiful imagery. She is currently based in Crete, Greece and she offers online sessions too. "Much love and thanks to all the people in my life past, present and future"